Home Business Exclusive Bigg Boss 11: These 3 Contestants Sent To Kaal-Kothri This Week! Exclusive Bigg Boss 11: These 3 Contestants Sent To Kaal-Kothri This Week! Bigg Boss 11 contestants get into argument to send three housemates to the jail. While you waiting to catch a lot of drama in the tonight’s episode, we also reveal the three contestants who have been locked up in the jail as the weak performers. We EXCLUSIVELY reveal, the battleground gets intensified with numerous arguments among the contestants over choosing three worst performers. However, after much drama, the contestants vote three to be locked up in the jail. It’s time for someone to go to the dreaded ‘kaal kothri’ as Bigg Boss asks gharwale to nominate 3 individuals they think to deserve the harsh brutality that the jail has to offer. Whom will the housemates select? 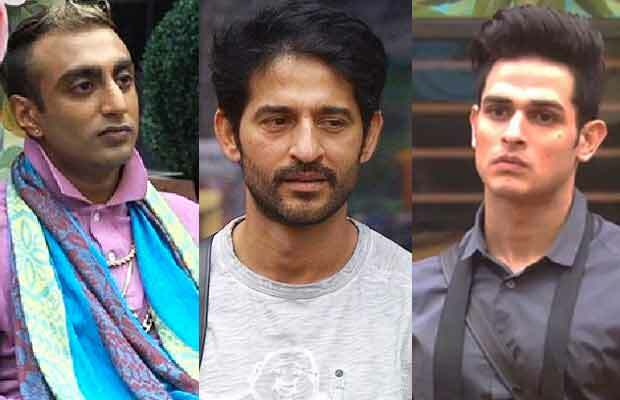 We EXCLUSIVELY reveal, housemates mutually select Akash Dadlani, Priyank Sharma and Hiten Tejwani as the worst performers of the week. So, Akash, Priyank and Hiten have been locked in Kaal Kothri this week! Meanwhile, Business Of Cinema.com conducted a poll on who should get evicted this week. And the results are out. According to our poll, the viewers want this contestant to get evicted this week! Stay tuned to Business Of Cinema.com for more Exclusive updates on Bigg Boss 11! Next articleHere’s Why Salman Khan’s Tiger Zinda Hai Will Not Release In Pakistan On December 22!